The Indian Railways received a breather from the Ministry of Finance, as it agreed to pay the principal and interest for Rs 5,000 crore that it raised through Extra-Budgetary Resources (EBR) to finance strategic railway projects in 2018-19. Projects in Jammu and Kashmir and the Northeast or developmental projects that result in greater integration of these regions with the rest of India are considered strategic. Officials confirmed that this will be a one-time arrangement to finance strategic projects and Rs 5,000 crore may be reduced from the revised budgetary support of Rs 53,060 crore for 2018-19. The railways had already used 80 per cent of its budgetary support by mid-March. In the revised estimate for 2018-19, the capital expenditure was Rs 1.39 trillion, comprising Rs 53,060 crore from Budgetary Support, Rs 6,500 crore from Internal Resources and Rs 79,297.52 crore from Extra Budgetary Resources. Fourteen projects were identified by the Indian Railways during the early part of the current decade. Of this, about 10 projects were expected to cost Rs 66,327 crore, according to initial plans. In 2016, the NDA government has taken up four projects bordering China, including Missamari-Tenga-Tawang line covering 378 km, Bilaspur-Manali-Leh line covering 498 km, Pasighat-Tezu-Rupai line, covering 227 km and North Lakhimpur-Bame-Silapathar line covering a distance of 249 km. Strategic railway lines are planned with priority to also help in the movement of troops, tanks and other necessary supplies to border areas. “The current agreement is a one-time arrangement for the current fiscal as the government wanted us to immediately take up such project,” said an official. The railways has lined up its highest ever capital expenditure (capex) of Rs 1.59 trillion for 2019-20. It includes an all-time high budgetary support of Rs 64,587 crore, Rs 10,500 crore as internal resources and Rs 83,571 crore from extra budgetary resources. "For key projects like track renewal and electrification, we have ensured that there is no dearth of funds,” the official said. To fund electrification projects in 2019-20, the national transporter is close to raising $750 million from Asian Development Bank (ADB). 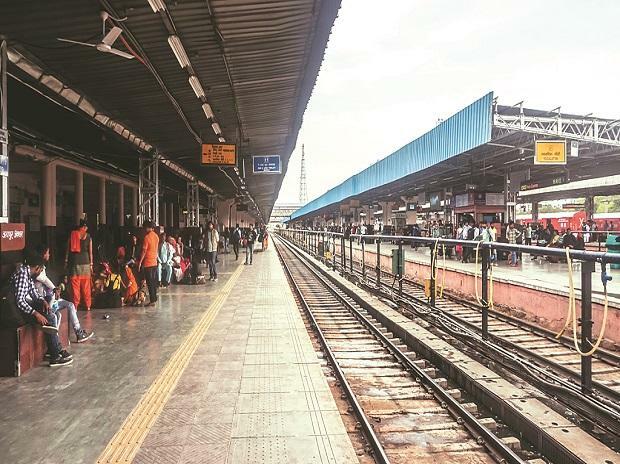 Sources said by mid-March, operating ratio of railways for all the zones, barring six, was seen above 100, an indicator that it is unlikely to meet the targeted operating ratio of 96.2 per cent for the financial year 2018-19.